I received a free Total Body Excursion Run class at Crosstown Fitness in exchange for my review. All opinions are my own, as always. I’ve had a couple of opportunities to try out classes at Crosstown Fitness over the past few years, and each time I’ve gone, I’ve left thoroughly exhausted. I’m familiar with the studio’s HIIT style of training, but I had never really run much beyond a minute or so at a time during one of its classes. CTF recently introduced a Total Body Excursion Run class, however, which, as the name implies, is heavy on the “run” side of things. 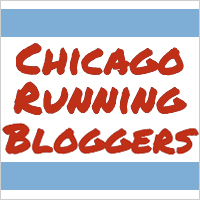 Because this past weekend was my only weekend of the entire month without a race, I headed to the West Loop on Saturday morning to check out what the class is all about. Tori Karsten, whose classes I had taken a couple of times at TRAINology (before TRAINology closed last month, that is), leads the Total Body Excursion Run class at CTF, which had us covering roughly 3.5 total miles over the course of just under an hour. About six people took the class this past Saturday, and after warming up with a run around the block and some agility drills, Tori asked the group to pick a number between one and nine. That number corresponded with an exercise/drill she had written on a piece of paper, so we ended up doing whatever appeared next to the number. Our first exercise/drill took us an a couple-block run to Mary Bartleme Park, where we ran two laps around the park and followed that with six sprints up one of its (mercifully short) hills and a few rounds of suicides. We then ran back to CTF and did the rest of our exercises outside the studio, which included a half-block run, burpees (of course — could you really hope to get through a cardio-based fitness class without doing burpees? ), skips/shuffles/sprints, jumping jacks, and sprint/recovery intervals around the block. We cooled down with an easy lap around the block and briefly stretched to wrap things up. Out of all the fitness classes I’ve ever taken, I think this one went by the fastest. I thought we were getting out early when we finished and was really surprised to see how much time had passed. It also shocked me how much distance we covered (I’m trusting Tori’s watch on this one–mine didn’t find a GPS signal until halfway through the workout, so I know the 1.45 miles my watch thinks I ran is wrong). Running around the block a few times doesn’t feel like it would add up to much, but 3.5 miles is a pretty solid distance in my opinion. Tori mentioned that this class is switching from Saturdays to Tuesdays at 5:30 to accommodate runners who spend their Saturdays doing long runs, and while Tuesday doesn’t work with my schedule because of dance, I think this class would be a fantastic thing to include in just about any training plan. While the runs added up to 3.5 miles, I would guess we never ran more than half a mile straight, which not only makes the class attainable for those who don’t consider themselves long distance runners, but also basically turns each run into an interval, which is an awesome way to sneak in speedwork if that’s something you can’t normally convince yourself to do on your own. Tori’s a great teacher, which makes all the difference with these sorts of things, and I really think this is an awesome addition to CTF’s lineup. I love trying new fitness studios and classes. I’m always shocked at how slow some feel and how fast others do. I’ve never taken a running class though! I don’t know if I’d love that or not… the idea of those treadmill running classes don’t appeal to me in the least, but I might like an outdoor class better. Isn’t it crazy? There have been classes where I look at the clock and am sure it’s broken, because I’m CONVINCED I’ve been in that class a lot longer than the 15 minutes the clock says, but there are other times (like Saturday) when I can’t believe how much time has passed. I’ve taken a couple of studio classes that involved treadmills, and it was never *too* soul-crushing, but I DEFINITELY preferred running outside! Oh that’s an interesting class!! I’ve done OTF and Shred, but those are both treadmills. West Loop doesn’t exactly fit into my life right now haha. I guess it’d be close enough to work in the summer to get there, so might be worth the try!